Latest data available for the Domestic Renewable Heat Incentive covers the period from launch to the end of September 2014. The Domestic Renewable Heat Incentive (Domestic RHI) launched on April 9th 2014 and is a UK Government scheme to encourage the use of renewable heating technologies. Under the scheme, householders receive quarterly payments for a period of 7 years based on the amount of renewable heat their system produces. Figures from the scheme show renewable heat installations in the UK continuing to grow. 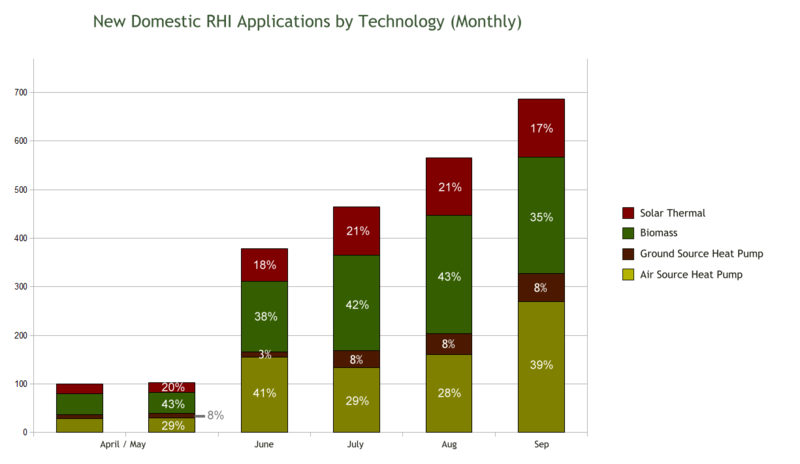 The Domestic RHI has had 12,301 applications in less than 6 months. Applications continue to be dominated by legacy applications. Legacy applications are for systems installed prior to the launch of the scheme on April 9th 2014 and account for 81.33% (10,004) of applications to date. Only 18.67% (2,297) of applications are for installations that took place since the launch of the scheme. 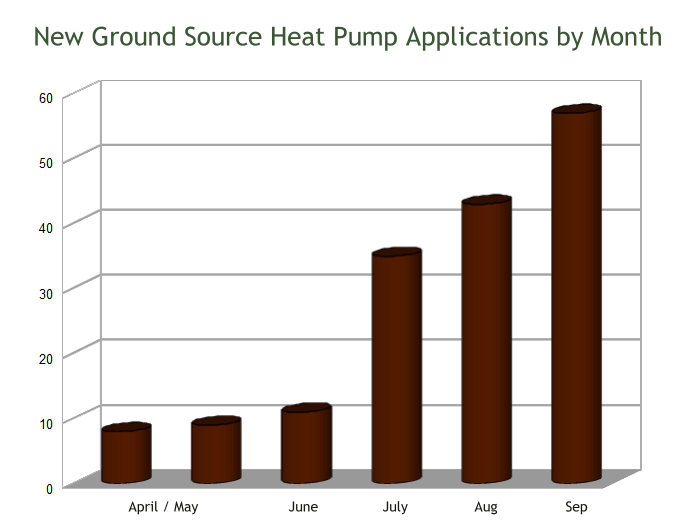 It is new applications that give us an indication of current activity in the renewable heat market. The number of installations applied for under the scheme have been increasing month on month after an understandably slow start. This trend continued in September for the 5th month running. Biomass has accounted for 40% of new installations since the launch of the scheme on 9th April. This is a big increase when compared to the share biomass achieved in recent years. Biomass continues to do very well from the Domestic RHI, although September saw slightly lower installation numbers than the preceding month with 240 new biomass applications vs 243 in August. Air source heat pumps have been the dominant domestic renewable heating technology over the last few years. 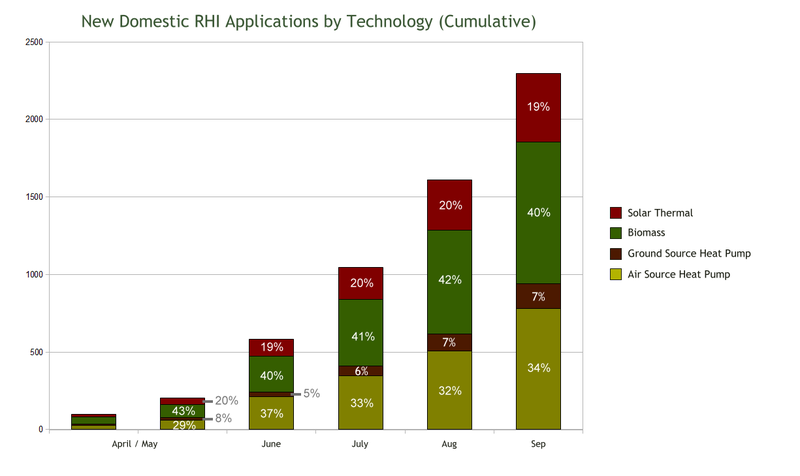 They have been the second most popular technology so far for new installations under the Domestic RHI. 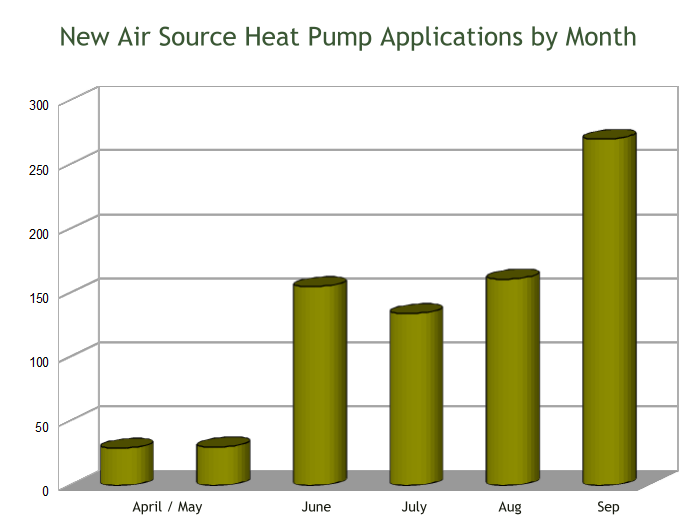 September was a strong month for new Air Source Heat Pump applications with the number of new installations jumping from 161 in August to 270 in September. 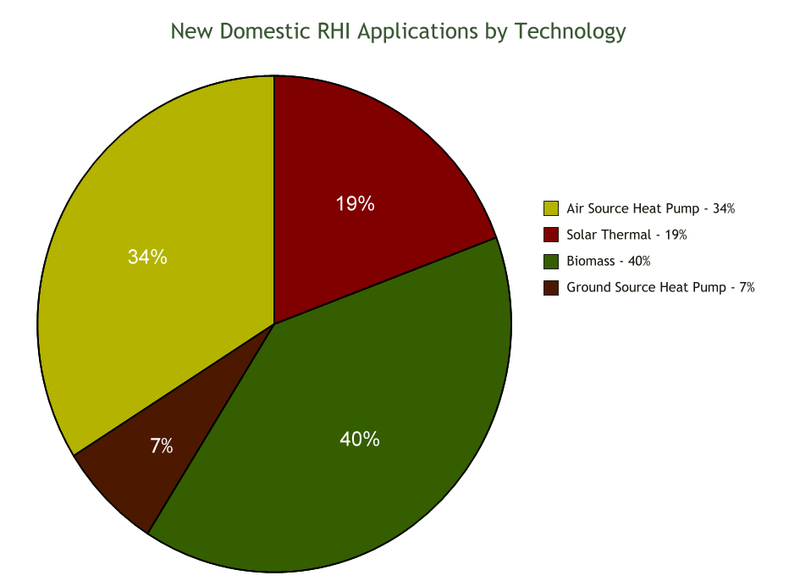 Ground source heat pumps are only 7% of new installations under the Domestic RHI but they continue to ramp up slowly. September saw another month on month gain.